Olivia Munn attended the 1st Annual Cocktails For A Cause With Love Leo Rescue at Rolling Greens Los Angeles on Thursday (December 6). 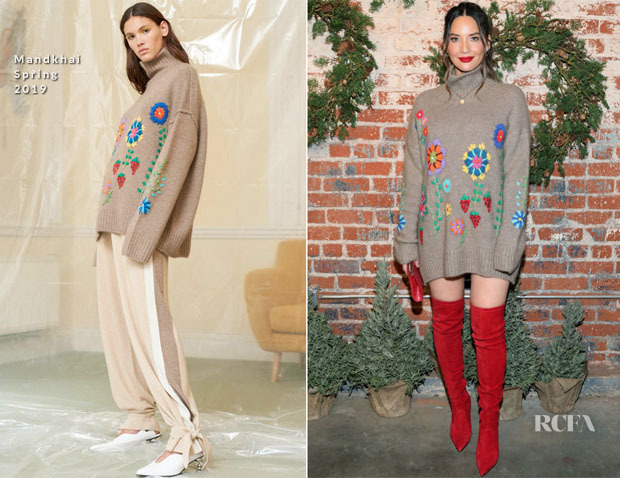 Sweater dress, or sweater as a dress…however you want to refer to this oversized Mandkhai Spring 2019 embroidered cashmere sweater, Olivia absolutely rocked this fun and festive look. 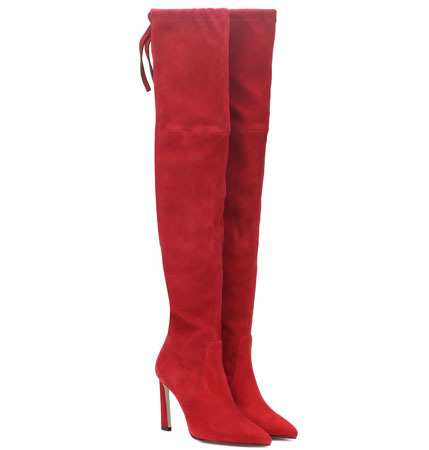 The red suede Stuart Weitzman ‘Natalia’ over-the-knee boots pretty much help sell the look to me. Did she sell this look to you?